Todd Van Poppel Autographed Baseball. This baseball has yellow spotting and is sold as is. 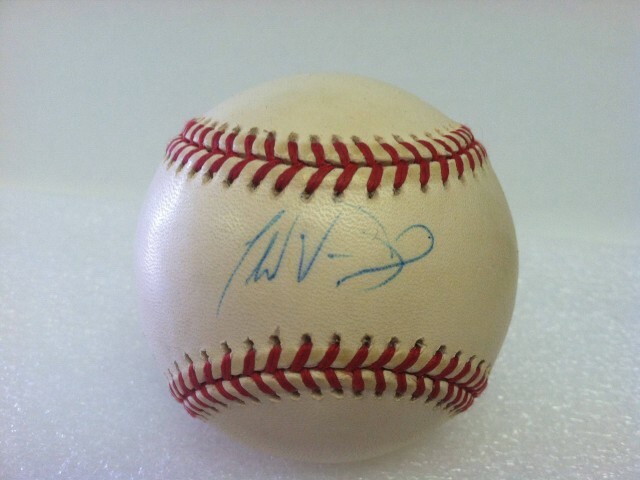 Baseball Memorabilia » Autographed Baseballs » Todd Van Poppel Autographed Baseball. This baseball has yellow spotting and is sold as is. Todd Van Poppel Autographed Baseball. This baseball has yellow spotting and is sold as is.. This Great Collectible Is Accompanied By A (COA) Certificate of Authenticity From Athletic Promotional Events. Also, AutoGraphCity.com Guarantees All Memorabilia To Be 100% Authentic. All Items Comes With FREE Ground Shipping Within The Continental US.